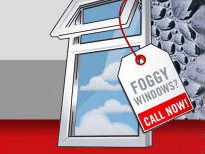 Window Defoggers LLC offers the best warranty in the business. We offer a 10-YEAR WARRANTY for both Commercial and Residential installations of IGUs (Integrated Glass Units). The warranty period begins at the date of the Window Defoggers installation. Transferring ownership is possible, as long as the original receipt is produced for warranty claims. A ten (10) year warranty against all defects in material, workmanship and seal failure of IGUs from the date of original installation. Optional Upgrade to Manufacturer's Lifetime Warranty. Repair work on old window frames is not warrantied. Warranty on labor includes only new glass and new parts that we install. While we will do repair rotted wood frames and frames that leak, our 10-year warranty does not cover this repair work. The warranty covers glass only. Old wood, frames and hardware that we do not provide or install are not warrantied by Window Defoggers.